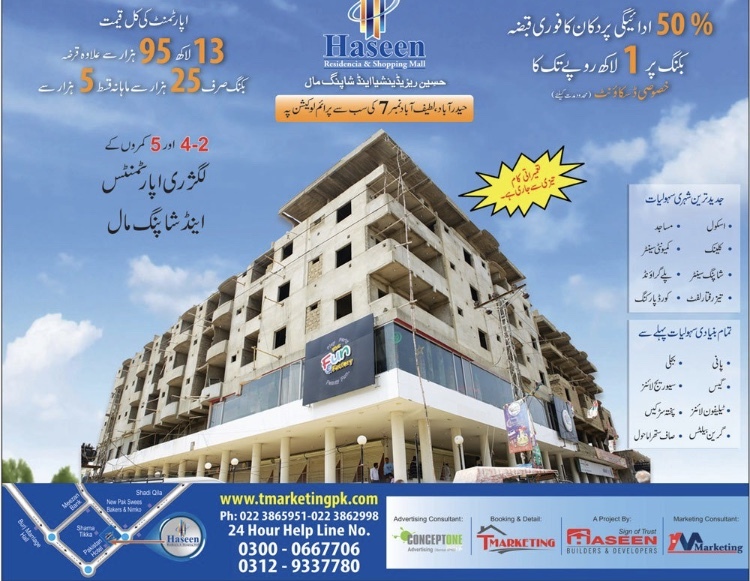 Haseen Residencia & Mall, a multi purpose project by Haseen Builder and Developers. Offering various sizes of 2 Bed, 4 Bed and 5 Bed apartments and commercial shops. Booking for apartment starts from Rs. 25,000/- and montlhy installment starts from Rs. 5000/-. The project is located at latifabad no. 7. It is surrounded by other residential areas and close to all other major points of the city. Also, few minutes drive awah from Shadi Qila.